For all dancers, for anyone who chases after their dreams, "LEAP!" comes to Digital on Nov. 7 Blu-ray, DVD and On Demand Nov. 21. This story shows the message to never stop reaching for your dreams. To enter this contest you must be following Thisfunktional on any or all social media or subscribed to the newsletter. 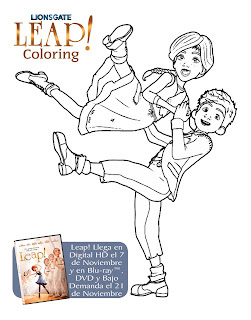 Print out and color or digitally color the Leap! coloring image and post on social media making sure to tag Thisfunktional and #Thisfunktional. I will choose the best and most original coloring as the winners. Disclaimer: Winners will be chosen. Contest runs to Nov. 20, 2017 midnight. No purchase necessary. Prize provided by Universal Pictures. Only open to the U.S., no PO Boxes or international addresses. Only one entry per household. Entries on behalf of another person will not be accepted and joint submissions are not allowed. We will not accept entries of contestants who have claimed a prize in the last 6 months. 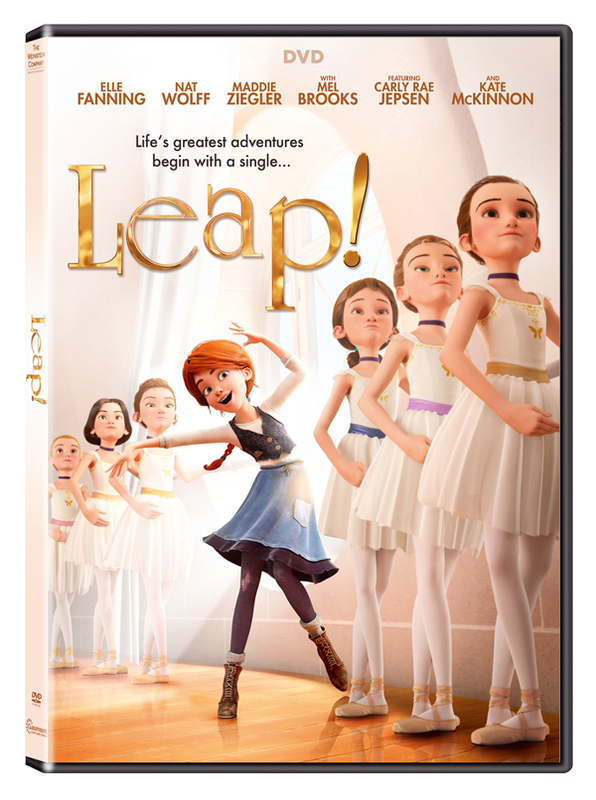 Celebrate the holiday season with the inspirational and uplifting family film "Leap!," arriving on Digital HD Nov. 7 and Blu-ray™ (plus DVD and Digital HD), DVD, and On Demand Nov. 21 from Lionsgate. Featuring all-star voice talent led by Elle Fanning (Maleficent), alongside Nat Wolff (The Fault in Our Stars) and Maddie Ziegler (The Book of Henry), with Mel Brooks (Spaceballs), featuring Carly Rae Jepsen (singer-songwriter of the hit song “Call Me Maybe”) and Kate McKinnon (“Saturday Night Live”), "Leap!" is a colorful and imaginative story about an orphan girl who is determined to follow her dream of becoming a ballerina. Eleven-year-old orphan Félicie (Fanning) has one dream — to go to Paris and become a dancer. Her best friend, Victor (Wolff), an imaginative, exuberant boy with a passion for creating, has a dream of his own — to become a famous inventor. 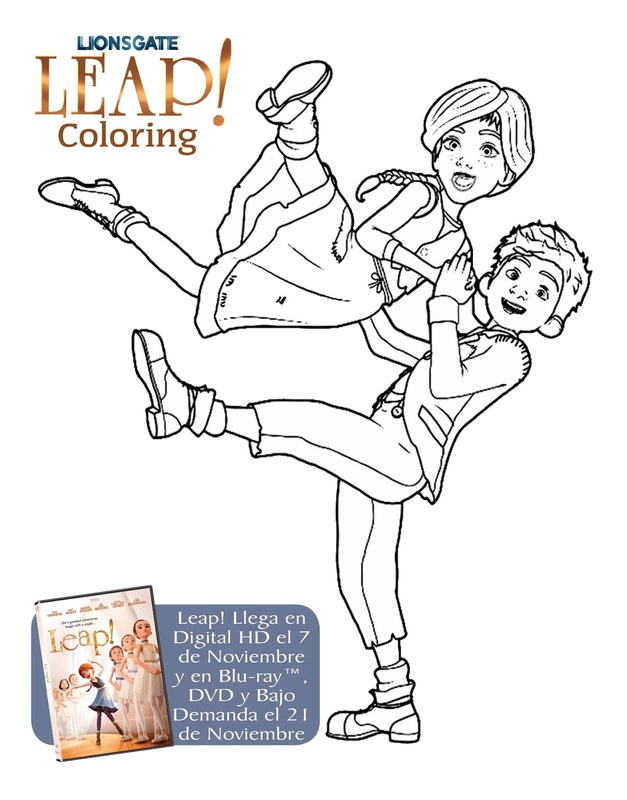 In a leap of faith, Victor and Félicie leave their orphanage in pursuit of their passions. But there’s a catch: Félicie must pretend to be the child of a wealthy family in order to gain admittance to the prestigious and competitive Opera Ballet School in Paris. With no professional dance training, she quickly learns that talent alone is not enough to overcome the ruthless, conniving attitudes of her fellow classmates, led by the devious Camille Le Haut (Ziegler). An animated adventure the whole family will enjoy, the "Leap!" home entertainment release includes a behind-the-scenes video gallery and a look at stars Kate McKinnon, Nat Wolff, and Maddie Ziegler in the recording booth. "Leap!" will be available on Blu-ray (plus DVD and Digital HD) and DVD for the suggested retail price of $39.99 and $29.95, respectively.